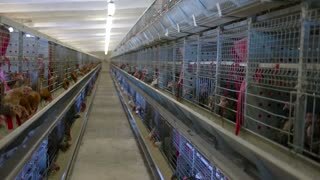 Rows of cages with hens. Poultry is pecking feed. Birds grown at the farm. Property of agricultural company. 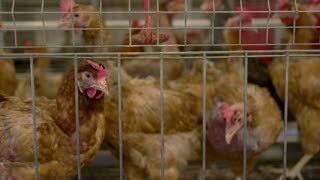 Hens in cage. Poultry of brown color. Chickens at the local farm. Bird grown for meat. Hen pecks feed. 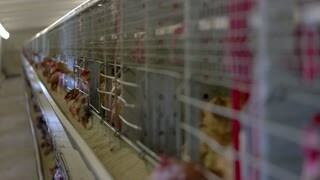 Poultry in cage. Nutrition influences health of birds. Soft feather and sharp beak. Hen of white color. Poultry on blurred background. Bird grown in good conditions. Chicken at the farm. 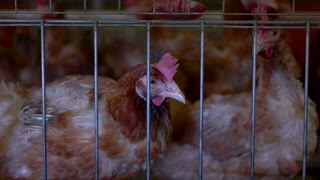 Brown hens in a cage. Group of domestic birds. Farm sells poultry. Wings and beaks. Hen is walking. Group of birds. Broilers grown at the farm. 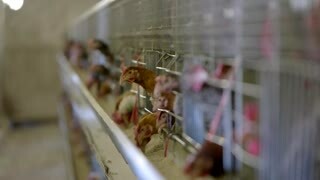 Breeding poultry for profit. Hen inside a cage. Domestic bird in henhouse. 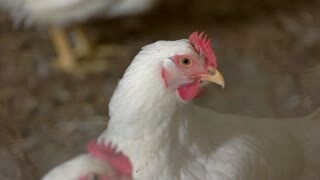 Best conditions for breeding poultry. 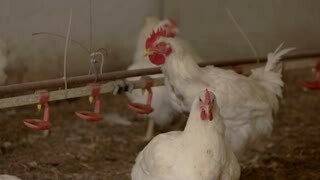 Farm sells healthy chickens. Hens in the cages. Domestic birds peck feed. Best nutrition for poultry. Chickens for sale. Hens in cages. 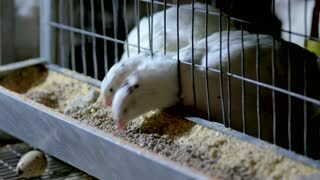 Domestic poultry eats feed. Poultry farm in the village. Source of eggs and meat. Hens are pecking feed. Domestic birds in cages. Breeding poultry in good conditions. Chickens must live in warmth. Hen in a cage. Bird is eating feed. Create good conditions for poultry. Chicken farm outside the town. Hen and rooster. Poultry is walking on straw. Birds grown at poultry farm. Cockerel drinks water. Feeding quails chickens in hen house on poultry farm. Close up quails eating food in cages at breeding farm.